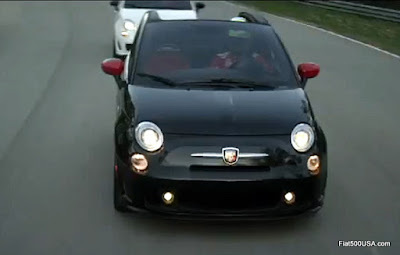 Fiat released a short video tease for the new 2013 Fiat 500 Abarth Cabrio that will make its debut later this month at the LA Auto Show. It features Scuderia Ferrari drivers Fernando Alonso and Felipe Massa testing out the FIAT 500 Abarth Cabrio on a racetrack in Texas. We can't wait to see more of this hotly anticipated Abarth model! Alright! This is the one that I have been waiting for!